If you own your home, you know that foundation problems can be a homeowner’s worst nightmare. In fact, nationwide, the average home foundation repair costs between $1,600 and $6,000. For many, the fear that infrastructure issues will affect the resale value of their home is one of their biggest worries. To help prevent these issues from popping up, here are five ways homeowners accidentally damage their home’s foundation. The purpose of your gutters is to direct rainfall away from the house. 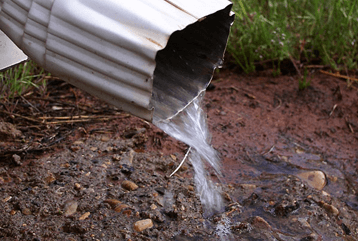 Once blockages in clogged gutters occur, rainwater can pool around the foundation. This clogging causes wearing and cracking. Again, it’s important to keep water from pooling around your home. Too much water, especially if it freezes, can damage an un-waterproofed foundation. This problem is a common cause of foundation issues. Too much watering will make the ground uneven because there will be patches of swollen, wet soil next to more compact areas of dry soil. There’s further pressure on the foundation itself when the outside is wet, and the interior is completely dry. Any major work on the inside of your home that shifts the load from one area to another can result in damage because you’ve altered the weight from the foundation’s design. If you see warning signs, like cracks in your walls or broken tiles, call a professional immediately. Waiting could make the problem worse, and more expensive. Anything you can do to lengthen the life of your foundation will save you money in repairs and resale costs. Keep these five tips in mind when remodeling, grading soil, or dealing with rainwater.